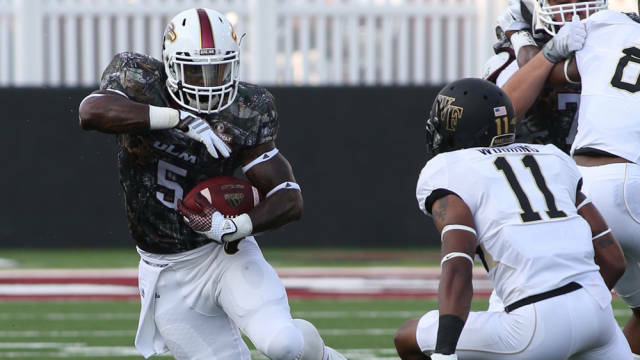 The Warhawks open the season with a tough road game against the Georgia Bulldogs in Athens, Georgia Sept. 5. The team features a deep well of experience as nine graduates, 10 seniors and nine juniors man the roster on offense, defense, and special teams. One of these seniors includes Rashon Caesar, a wide receiver and punt returner. “I see my role as a senior leader as being vocal and stepping up and showing them that I’m tired just like them but that I’m going to continue to fight. Mainly though as making sure everyone is ok outside of football,” Caesar said. New talent also graces the squad including several true redshirt freshmen on the offensive and defensive side. Head football coach Todd Berry has noticed how new players have adjusted to the program. “What has impressed me is that they’ve confirmed to our culture a little bit. Their intensity and everything has been good. The punter Chris Coles, who’s a true freshman, has really handled things well. RJ at receiver will get to play snaps against Georgia, and we’re excited about that, because he’s hung in there, and done the things we’ve asked,” Berry said. A new face will be seen at quarterback as senior Pete Thomas passed the baton after last season. The responsibility now falls to senior Brayle Brown out of Shawnee Oklahoma. Brown finished his career at Shawnee High School with over 4,000 yards passing, 1,000 yards receiving, and 1,000 yards rushing. He made his first collegiate appearance as a freshman, and made a showing in all twelve games as a sophomore and junior. His sophomore year he made two starts and went 61-117 for 645 yards and one touchdown, while his junior year he went 14-24 for 172 yards and one touchdown. Last season the team went 3-5 in the Sunbelt Conference with a 4-8 record overall. Five of those games were decided by six point or less, but missed opportunities and late game mistakes derailed the Warhawks efforts. Losses sat in the column next to the two top 25 ranked teams the Warhawks faced but with markedly different scores. The Warhawks were able to show resolve against #21 ranked Texas A&M closing a two touchdown difference to five points with a little over 10 minutes left in the fourth before succumbing to defeat. Death Valley held up to its name though as the Warhawks were trounced by the then #9 ranked LSU Tigers 31-0 in Baton Rouge. The upcoming game against the Georgia Bulldogs pits the Warhawks against a team that finished 10-3 overall and 6-2 in the SEC. The team features running back Todd Gurley, now of the St. Louis Rams, and quarterback Hutson Mason, picked up as an undrafted free agent of the Washington Redskins. The team is expected to deliver another strong performance as the AP college poll ranks them at #9 in the nation, which is up from their #12 preseason ranking in 2014. Coach Berry sees his team as ready to compete and to seize the moment that has been afforded to them.